The village of Mijas is one of the prettiest on the Costa del Sol. Take a donkey ride along its winding cobbled lanes or a horse and carriage ride past its whitewashed houses and pretty shops and cafes, or simply visit the historic sights of the quaint ‘pueblo blanco’ while gazing over the stunning view over the southern Spanish coast below. 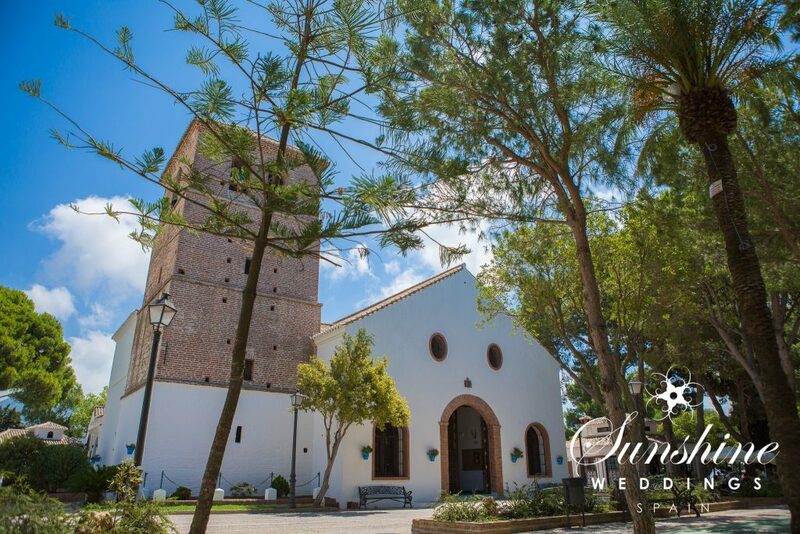 For any destination wedding in Spain, this village offers the perfect backdrop for the ideal Spanish church wedding. With plenty of nearby churches to choose from, Iglesia de la Inmaculada Concepción is one that is favoured by many of our wedding couples. The church was once the epicentre of Mijas from which the village was built around and during the Moorish occupation was the site of an old mosque. The church as it stands today was first constructed between the years of 1540 and 1565 by Bishop Bernardo Manrique upon the ruins of a mosque and a castle. In 1631 it was consecrated as a Catholic church. Inside, the church is divided into three naves by arches resting on marble columns. The bell tower, square in shape and designed in the Moorish style, was formed from the previous castle tower and the round windows and Spanish-style wooden door give it a traditional Andalucian air. Inside, the church is resplendent with its gold altar adorned with winged angels and the Virgin Mary. Arriving at the Iglesia de la Inmaculada Concepción, past its colourful fountain and across the square, is a beautiful experience for any bridal couple and their guests. The village is bursting with traditional Iberian charm, the old church is full of history and character and the location not only offers amazing views over the Med but is just a short drive away from the fun of the Costa. What more could a couple ask for when planning their Church Wedding in Mijas?